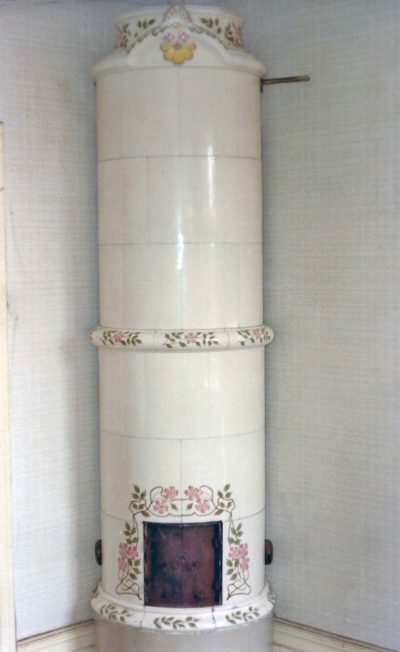 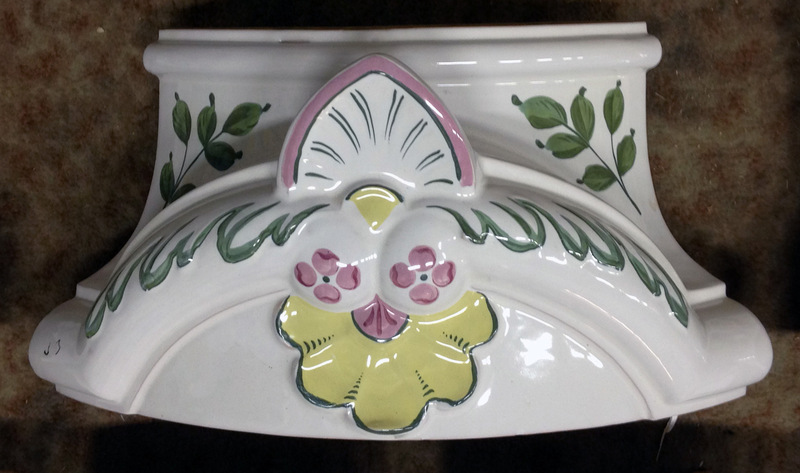 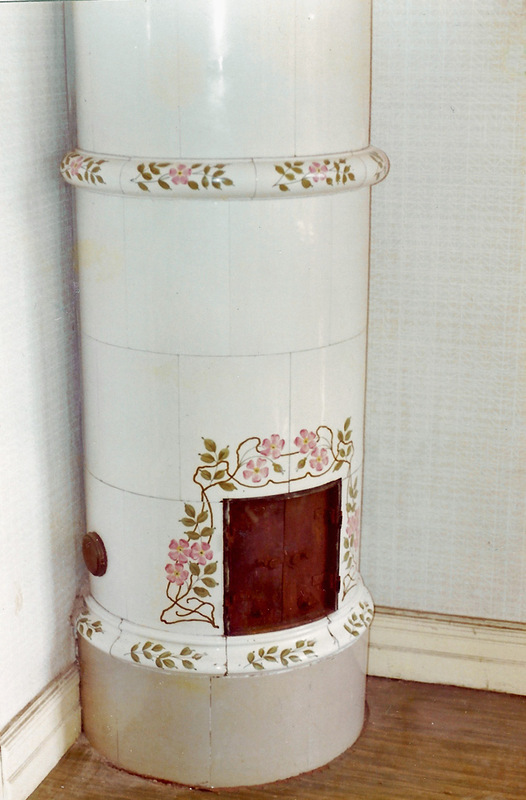 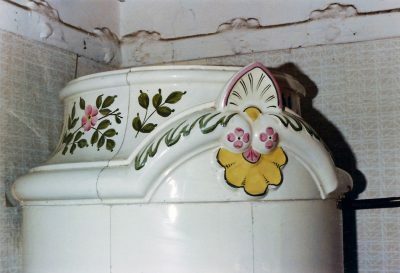 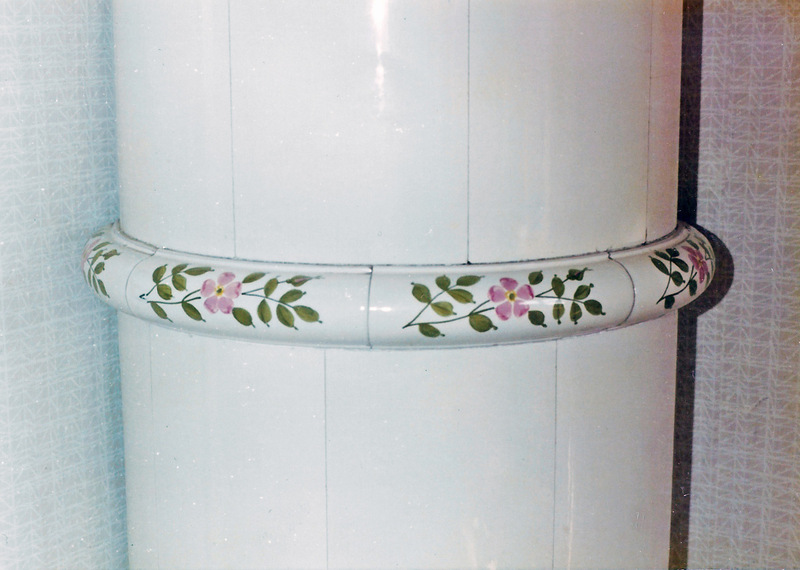 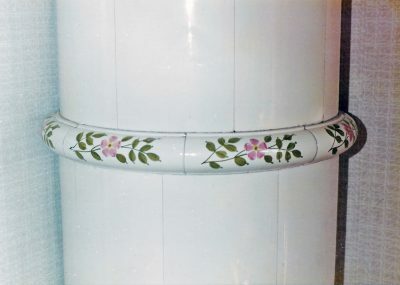 White 18th century style tile stove with coloured decorations. Karlskrona Kakelfabrik (tiled stove manufacturer), ca 1895. Height 267 cm.